Saturday a week ago, the one before Valentine’s Day, was a full day spent cooking. There were two separate events, both of which will get their own blog entry. 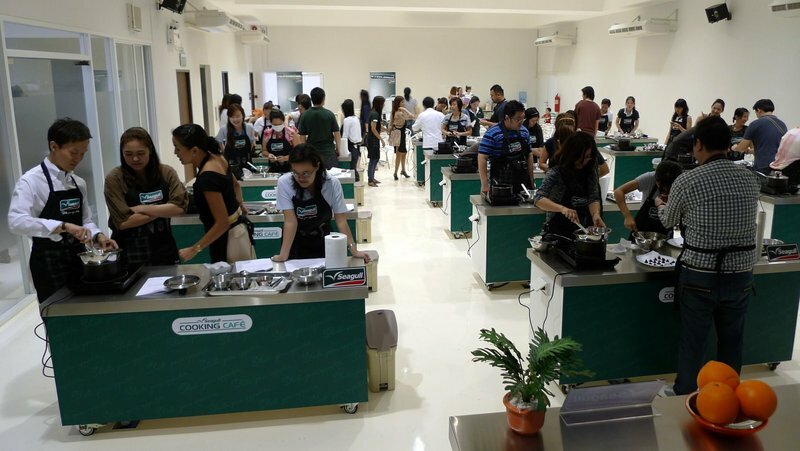 The morning event was the soft opening of the Seagull Cooking Cafe, a cooking school that the makers of Thailand’s premier line of stainless steel cookware products have opened on Sukhumvit Soi 63. The menu was Linguine Carbonara, Chocolate Truffles, and a mocktail called the Cinderella. One of Tawn’s cousins, Wan, is friends with the daughter of the family that owns the Seagull company. In additional to inviting her two sisters, Wan also invited Tawn and me to participate. Tawn comes from a big family – he is number 35 out of 38 grandchildren on his father’s side of the family. Keeping track of all these cousins is a bit of a challenge, especially those cousins here in Bangkok. While I’ve met several of Tawn’s Bangkok cousins once or twice before in passing and am connected with some of them on facebook, this was my first opportunity to spend any significant time with them. This opportunity fit perfectly with my plan to build connections with the rest of the family, in anticipation of the day that Tawn’s father, who regards me with something akin to a “don’t ask, don’t tell” policy, either changes his mind or is no longer a factor – to put it delicately. 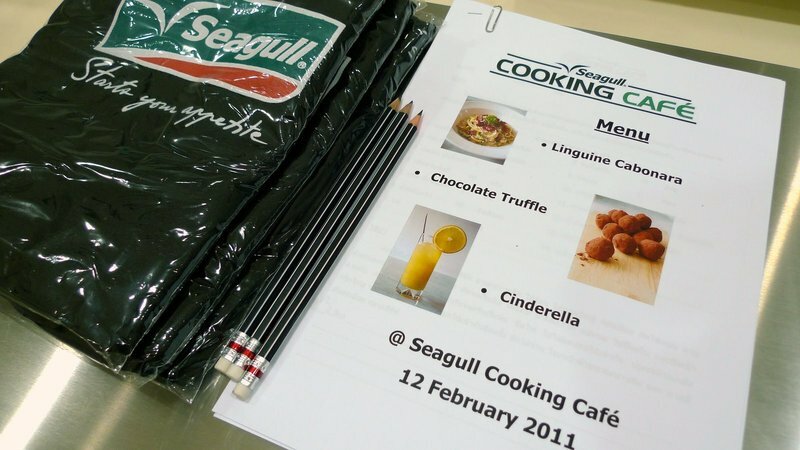 The school is on the top floor of Seagull’s headquarters in a large and brightly lit space. There are fifteen working stations, each with stainless steel tops (no surprise there!) and all the other equipment you would need. Tawn and his cousins were at the front of the class. We started by making the chocolate truffles as these would need to be refrigerated. Here, Tawn poses with Som and Wan as they squirt chocolate ganache from a pastry bag onto parchment paper. 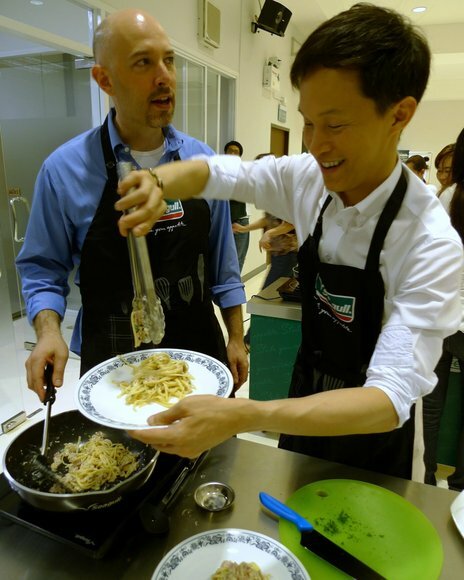 My partner for the cooking was Pueng. Despite her good humor and many talents, her ganache came out looking like little chocolate poos. 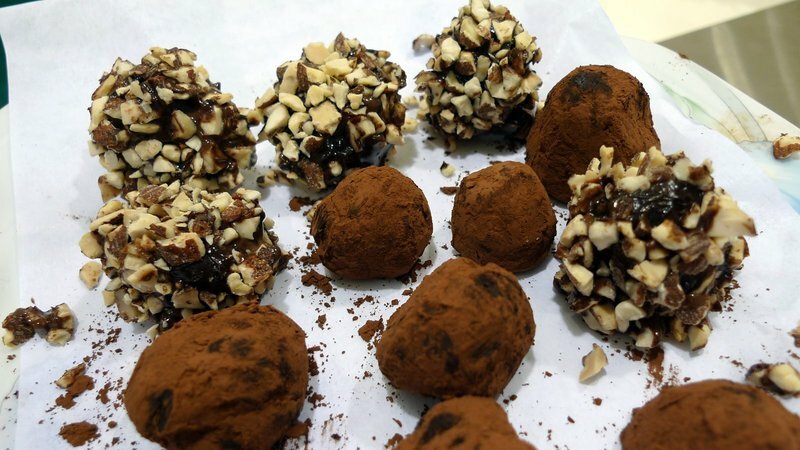 After refrigerating the chocolates for a bit, we were able to shape them by hand, ostensibly rolling them into balls. In practice, this didn’t work out so well. The end result of our efforts? Some damn ugly and unevenly-sized truffles. Som’s two-year old daughter, First, was there as well, spending most of her time playing with her father. Tawn was playing with her but she seemed a little shy. 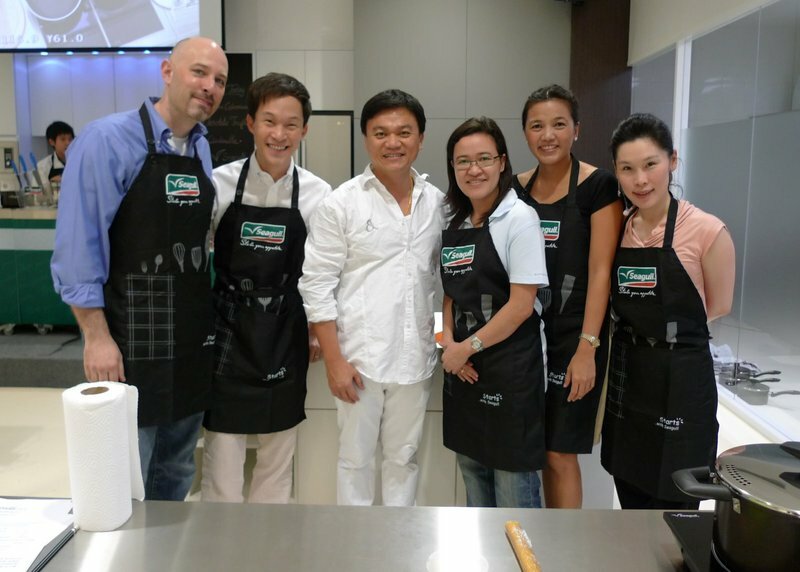 While not officially involved in the project, Chef Ian Kittichai (who has several famous Thai restaurants in New York, Barcelona, and Mumbai) had chefs from his organization conducting the class. Tawn has appeared on his local TV show before as a guest (just chat with the chef and help as he cooks) and also knows his wife through common friends. Had a nice chat with him about the challenges of managing restaurants around the globe and he provided some assistance with our truffles. All the ones that are actually round were rolled by him! Next up was the Linguine Carbonara, which actually was not a Carbonara sauce since it contained milk and cream. 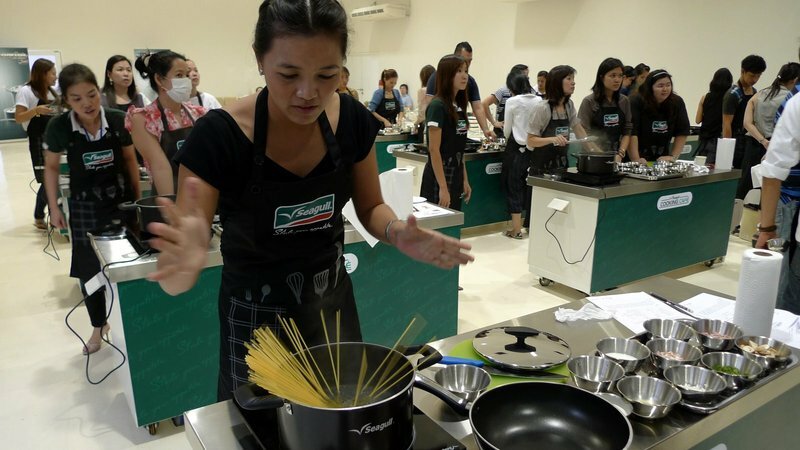 Nonetheless, Pueng practiced her technique of putting the pasta into the boiling water, twisting a standing bunch of dry pasta so is splays out. Somehow, partners were swapped during the course of the cooking so Tawn ended up helping me finish the pasta. Looks quite pretty, doesn’t it? I hadn’t cooked the bacon as crispy as I could have and didn’t salt the water sufficiently. Nonetheless, it was tasty. Pueng, Tawn’s elder, feels compelled to help him eat his pasta. I poked my head into the adjacent kitchen to see the cleanup process. 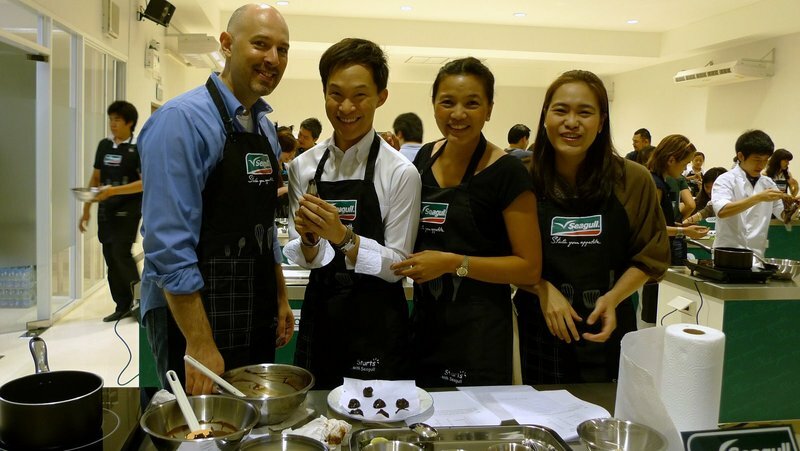 This being their trial run, they had tons of staff on hand and still seemed a little overwhelmed. 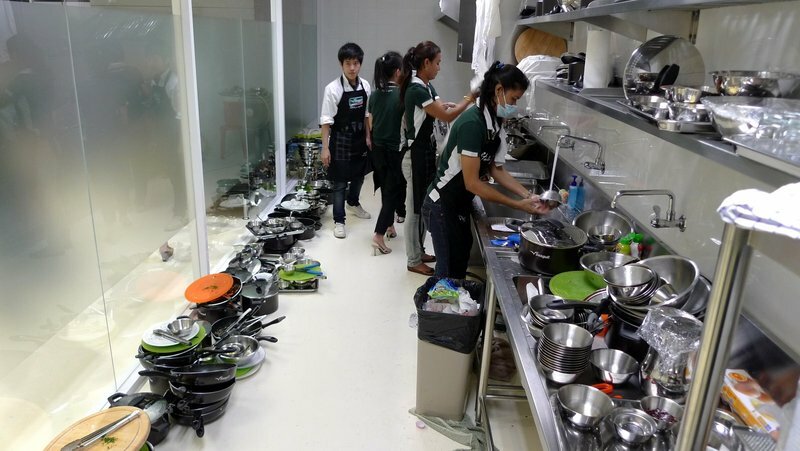 I think they didn’t anticipate just how much counter space they will need to handle the cleanup from fifteen cooking stations. It was a fun experience and I enjoyed the chance to spend more time with Tawn’s cousins. It is fun watching them interact with each other and I look forward to the day when I can be a part of family events. This entry was posted in Uncategorized and tagged Bangkok, cafe, cooking, Cousin, family, food, Krungthep, school, Seagull, Tawn by christao408. Bookmark the permalink. This must have been so much fun. That little girl, her name is First?? I love it. I too hope that you will be considered a part of Tawn’s family this year, Chris. I pray for that to happen God Willing. Oh boy! I’m so glad you didn’t have to take part in the clean up! That is some mess… And the chocolate poo – maybe they weren’t that pretty but did they taste good?? 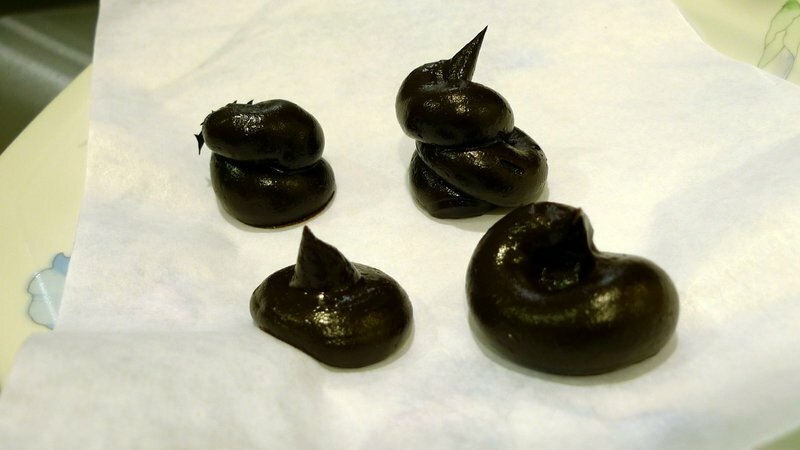 Chris, I could not help laughing at the chocolate “poo” and got distracted reading your blog. I hope they tasted better that they looked. 🙂 Glad they invited you also! An excellant sign of being accepted as part of the family. Happy for you and Tawn. 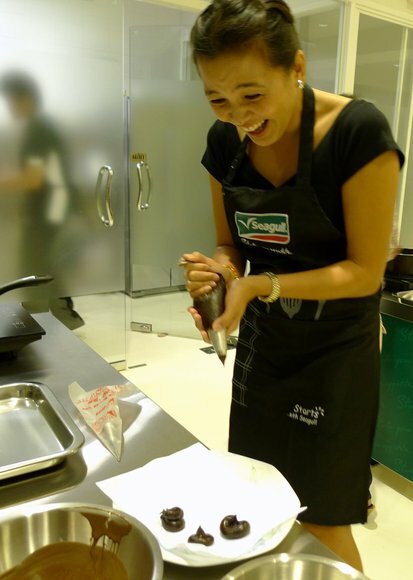 BTW, I was thinking of taking a cooking class as a fun thing to do. Maybe. Let me stop laughing first, hehe. That looks like great fun! I would have loved to take the class too! 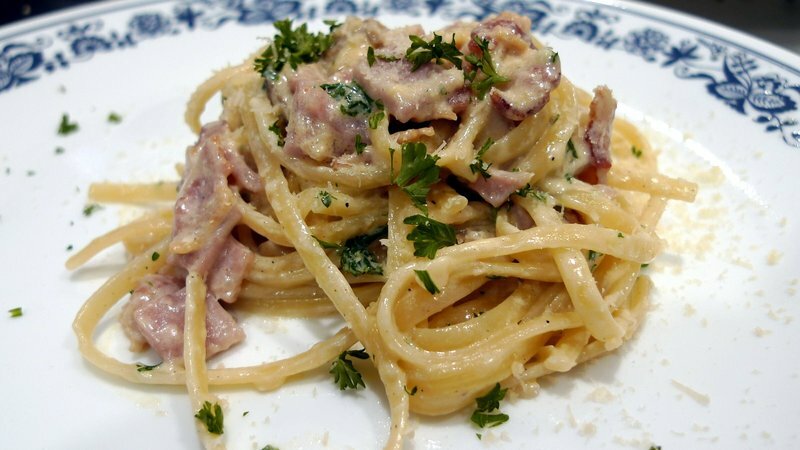 By the way, did you know the Carbonara was the original food of the herders who cooked up leftovers with pasta out in the field. This looks like so much fun! I wish we had a place like that around us. I love how big Tawn’s family is. That must have been so much fun growing up in such a big family! I am just a wee bit jealous. I didn’t realize Tawn’s family was that big! I think my dad’s views are similar to Tawn’s dad. @ElusiveWords – @TheCheshireGrins – Yes, although of course with such a large family his first cousins have a tremendously wide range of ages. Several of Tawn’s uncles own properties adjacent to his parents’ house (grandfather bought a larger property and divided it amongst the sons), so he had many cousins around the same age as playmates including these three women. @amygwen – No need to be jealous! =D@Fatcat723 – They had leftover bacon in the field? Cool. Better to use it up than to save it, I suppose…@stevew918 – You definitely should try a cooking class or two. They are very fun. Some good ones here in Bangkok, if you’re interested next time you are in town. @murisopsis – Actually, the truffles weren’t all that good. The chocolate wasn’t the highest quality and with no added flavors it was just a ball of chocolate. But it is the experience that counts, right? @oxyGENE_08 – Yeah, they often do. There was one friend who, when we first met, I was trying to speak Thai with him but he was hesitant to respond in Thai. Which made perfect sense once I found out he was from Manila. LOL@CurryPuffy – Definitely geared towards the women although there were some men there. Most people thought I was Pueng’s husband. She actually is married to a foreigner, although a Chinese Malaysian, not a farang. 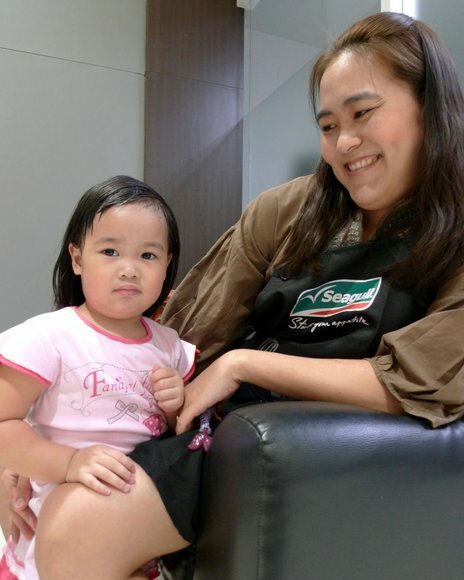 @ZSA_MD – Do you want to guess what her sister or brother’s name would be, if Som and her husband have another child? Yes, I hope this “divide and conquer” strategy works. @aPieceOfTheSky – @yang1815 – @ThePrince – Yes, it was a fun way to spend a Saturday morning. Nice to be able to do something like that rather than pour through a long list of chores and errands. This looks like so much fun. Tawn’s family is big, just like my mom’s family.